Woodwick Mill was an important centre for threshing and grinding cereals. There are two places where the date "1873" is chiselled into the walls. Milling ceased in the mid 1950's. Large openings were made to allow its use as a barn for Walkerhouse Farm. I am indebted to Jeremy Goddin, formally of Woodwick House, for the following: "After purchasing Woodwick House on 29 June 1984, the new owners decided to build a trout farm and hatchery near the entrance gates. When the owner of Walkerhouse Farm learnt of this, he suggested that it should be a salmon hatchery and offered to colaborate. This led to the formation of Woodwick Fish Farms Limited which built a hatchery finishing up to 120,000 smolts per annum. The original milldam had been breached many years before, but the 14 foot mill wheel and machinery were still intact. The owner of Walkerhouse Farm had retained title to the mill building and sold the mill wheel as spares to the proprietors of Boardhouse Mill - eventually it became an exhibit at the Glasgow Garden Festival before returning to Orkney's Mill of Rango. Woodwick Fish Farms Limited built a low cill in the breach of the milldam to maintain a minimum head of water for the salmon hatchery which was fed through a single pipe laid along the original mill lead and continued through the mill building to a sand filter feeding the hatchery troughs which were inside the mill, and then continuied outside to feed the rearing tanks. In order to maintain the peak biomass in April/May, the fish farm pioneered oxygenation of the limited water supply and an oxygen generator was installed in the kiln part of the mill. The fish farm also pioneered the automatic pneumatic delivery of precise amounts of feed to the outdoor tanks, the hydrodynamic separation of excess food and faeces so that they did not vent into Woodwick Burn, and also the delivery of the smolts by helicopter to sea cages in Scapa Flow. The original name of the mill was Walkerhouse Mill and this name came from the days before cereals were milled there when an important step in the manufacture of cloth was known as "waulking". An earlier corn mill is shown on older maps in the grounds where Woodwick House was built. Before either the present Walkerhouse Farm or Woodwick House were built, a collection of habitations were built next to the kale yard adjoining the present gates to Woodwick House, the only remaining structure being the long-house with beehive shaped kiln. A sharp decline in the market price of smolts caused the failure of the salmon hatchery which at its demise was operated by Aquasot Sea Farms Limited." 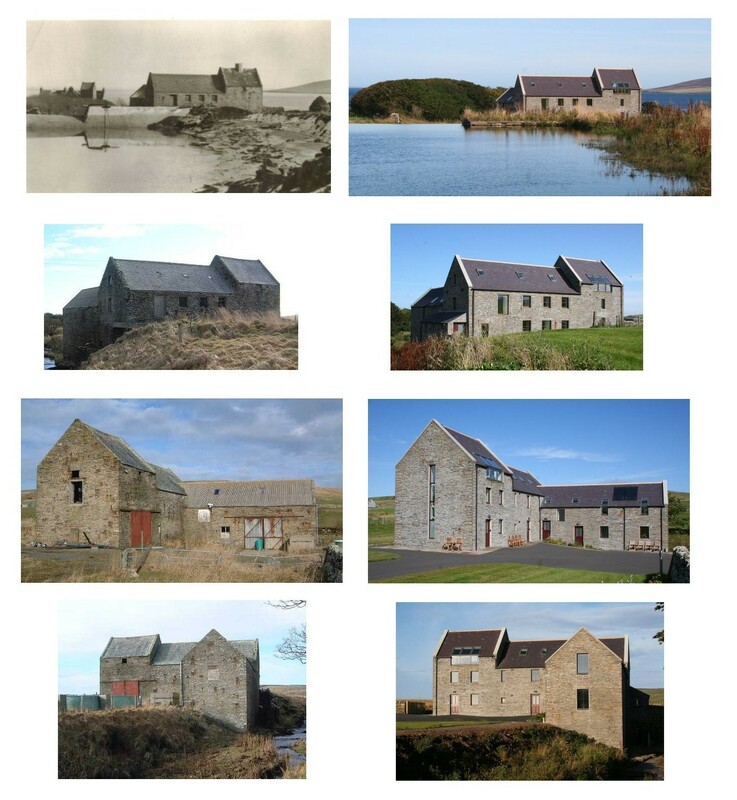 In 2005, after passing through several hands, the derelict Mill was acquired by Micky and five years later the Mill had been converted for accommodation with the dam repaired to supply renewable hydro energy. 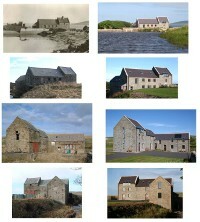 In 2011 Orkney Heritage Society awarded the Laura Grimond Highly Commended Award to Woodwick Mill.